You never know what is going on in the designer’s mind, he has too much to deliver in lesser time, equally good, stunning and innovative like his previous work pieces. He does anything and everything once & for all to meet the desire end. Whether it be mockup, or logo designs, whether it is a business card or typography fun pieces, he gives his 100%. 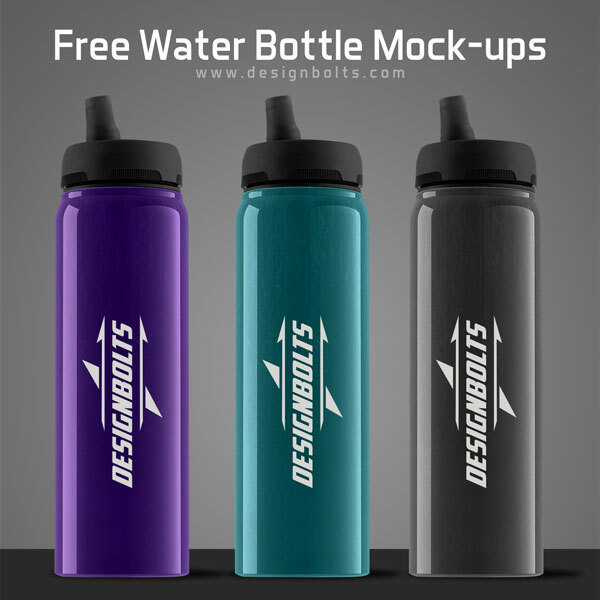 Well coming towards my today’s post that I made to help all those who are up to make a water bottle design for a client. No matter what season it is running on, water consumption should never be halted because if your body is dried up, you won’t be able to work more and will be exhausted quickly. The water intake should be approximately 8 glasses per day that energizes yourself and keeps your metabolic rate active. Plastic bottles are commonly used by school going kids, or adults on the picnics, we also see marathon bicyclists carrying plastic water bottles with them. Well, plastic consumption for eatables and beverages are so not recommended. Even the plastic paper bags are harmful so on a safer side always use ecofriendly water bottles for yourself so avoid any haphazard consequences. Today I am unfolding before you free ecofriendly water bottle mock-up, insert in your own design element and manifest it before your client who wants to get his design imprinted on the bottles. I am sure presenting the design through a water bottle mockup, the chances of approval will be doubled because it will give him a good idea that how his bottle design will look in actual form. Stay hooked for more freebies and we won’t let you down. Do share with us your feedback and make us go further and farther. We try our best to shortlist the best art and design posts that you can take benefit from. Your acknowledgment encourages us and lets us know what more should we be bringing along in the coming weeks for your ease, ideas and inspiration.